Clay and Paper Theatre's puppets return for their annual pre-Halloween stroll. 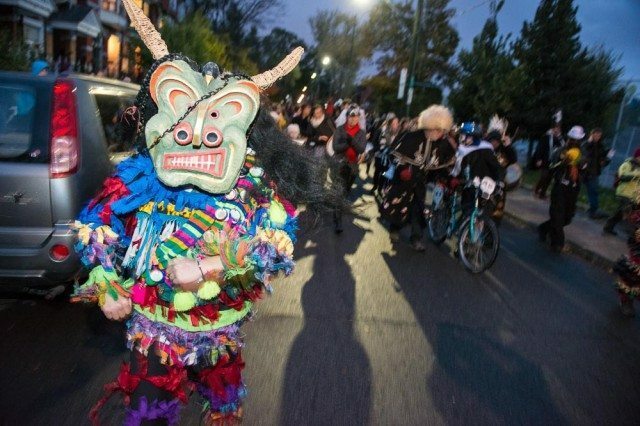 WHAT: Night of Dread, Clay and Paper Theatre’s annual pre-Halloween puppet parade, is a west-end tradition. This year’s procession included an assortment of creepy props, costumes, and masks, manned by volunteers. Click through the image gallery for a closer look.